Before contacting us, please review the relevant product page for detailed information about the coat, bed or accessory with warmth ratings & suitable purposes. Additionally for information on measuring & sizes please refer to the Fitting Room. Further information is available on the FAQs (facts & questions) & Terms & Conds. Love to chat, however being a seasonal business with everyone ordering at the same time, we are super busy making whippet coats to order as fast as we can, seven days a week, in our busy seasons for very, cold whippet's around the world! 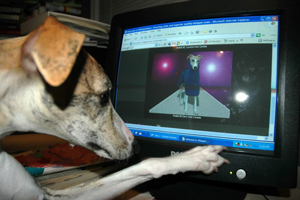 Whippetwear whippet customers thank you in advance.